It's finally Friday! After a long, grueling week of class I am stoked that today is Friday. 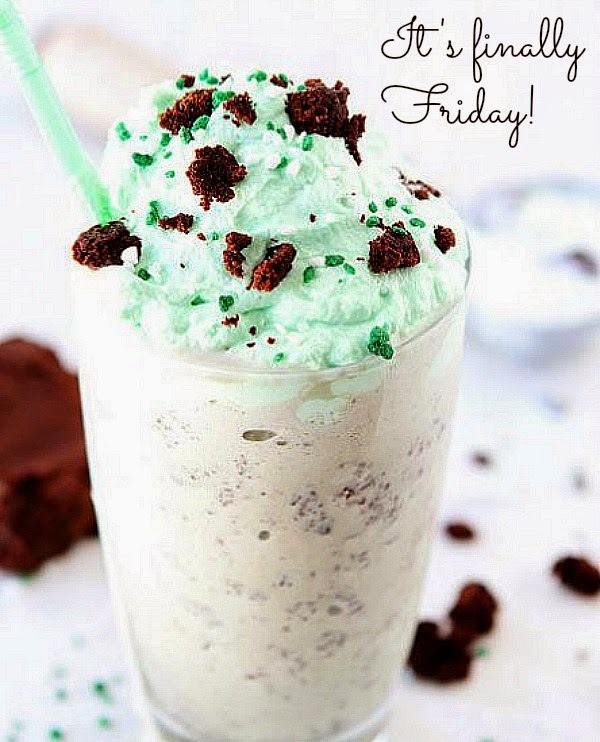 I deserve a treat today and at some point you can bet that I will be indulging in a delicious milkshake! Not only will it be fantastically delicious, but it will also help me beat this miserable heat. This weekend, I plan to get some paperwork filled out that I have been putting off and doing some homework that I have also been putting off. Then I have laundry to do as well and hopefully I will find the time to watch some more episodes of The Walking Dead. What are your plans? Hopefully, you will have a happy weekend! aaaah....i love fridays!! go and have that treat, you deserve it! i love walking dead...waiting for new episodes on netflix, though! Thank goodness - weirdest week ever. I think we all deserve to dig into a sundae! YAY for Friday!!! Go get that milkshake!! :-) Now you've made me want one. Ok you've twisted my arm! HAHA! Have a great weekend. I'm not sure what we will do this weekend. That milkshake looks CRAZY good!!! I gotta go read the recipe ASAP! Oh my gosh, that milkshake looks delicious. I might have to get me one tomorrow! Friday Friday getting down on Friday!